If you like to have fun and relax with your family then it is definitely a place to add to your travel bucket list. Worried it’s out of reach for your family right now? 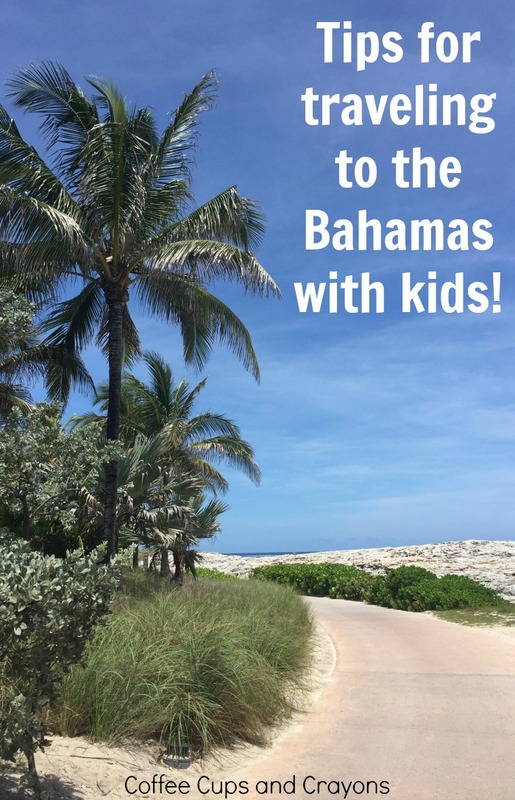 Then keep reading because I have some tips to make traveling to the Bahamas with kids more stress-free and less expensive than ever! 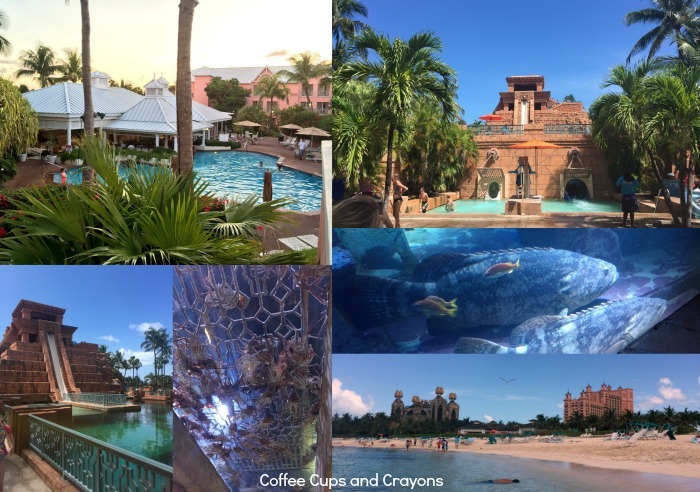 Thank you to Nassau Paradise Island, the Bahamas for hosting us and making this family travel guide possible! Sometimes the cheapest hotel doesn’t end up being the best value. Depending on the time of year you are booking and how many people in your party different hotels are going to show up as the least expensive. Make sure you research all of the fees and perks that are included with each. We were hosted at the Comfort Suite Paradise Island and were very impressed with the value. With your stay you get a full hot breakfast on site and full privileges next door at Atlantis Resort. The rooms are all junior suites with pull out sofas and mini-fridges which are such a bonus when traveling with kids. If you have room in your budget then staying on site at Atlantis Resort cannot be beat. There is so much to do there that you really never have to leave the resort. There is a 141 acre water park, 11 pools, a marine habitat with over 50,000 animals and access to a private beach included with your stay. There are also tons of restaurants and shops, a casino, golf course, and our personal favorite–Dolphin Cay right there on the property too. 2. Plan for your meals. One of the biggest ways people overspend on vacation is on food. When traveling to the Bahamas the normal tip of bringing your own doesn’t apply–you can’t travel there by car! Deciding on a food budget before you go makes the decision making once you’re there much easier. If food is half the fun when you are on vacation (like it is for us!) then you may want to look into a dining plan. Atlantis Resort offers three different dining plans to choose from based on how many meals you would like to include. Depending on how much of your budget you want to devote to food and trying new restaurants this may be a great option for your family. 3. 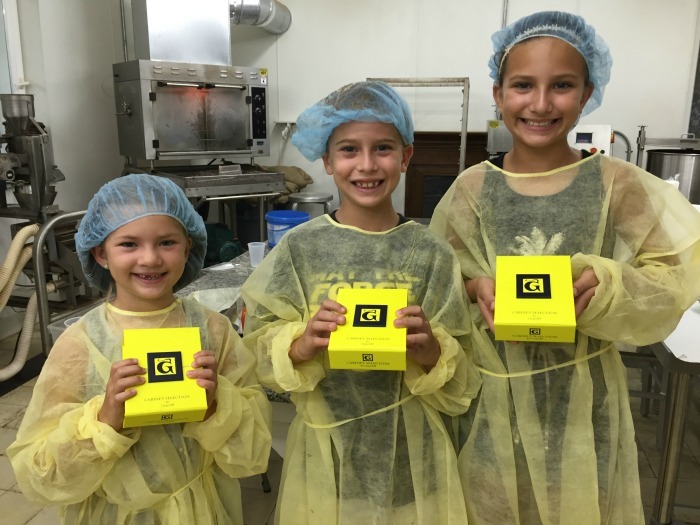 Visit the Graycliff Chocolatier Factory. No matter where you stay in Nassau Paradise Island a stop at the Graycliff Chocolatier Factory is well worth the trip. It ended up being one of our favorite parts of our trip! Graycliff Hotel is a stunning almost 300 year old hotel in Nassau that is full of history and charm. The grounds are beautiful and full of things to do and places to eat in a peaceful and historic setting. Tucked in amidst the cute restaurants and stunning pool is a chocolate factory you can not just tour but experience for yourself. During the chocolate experience you get to learn how cacao beans are roasted and turned into liquid chocolate and how to turn that chocolate into delicious treats. Then it’s your turn to create! A chocolatier teaches you different techniques for filling molds, dipping and glazing treats, and creating your own chocolate candies. That you then take home as souvenirs. Contact Graycliff hotel for pricing and availability. Shaking your head in confusion? Why would I need to include this as a tip? Isn’t it a given considering you are in the Bahamas? It should be, but with so much to do on Nassau Paradise Island it’s easy to forget to stop and get in some beach time. And the gorgeous ocean and warm soft sand is something that cannot be missed! Living on the Gulf coast we are partial to clear ocean water and white sand beaches and the Bahamas does not disappoint. We visited in June and the water temperatures were just perfect. You can float in the turquoise blue water and look for tiny shells in the sand. Atlantis has private beaches where you can reserve cabanas, rent jet skis, get your hair braided and order from waiters taking drink orders up and down the beach. 5. Splurge on Dolphin Cay. Full disclosure: I ADORED the shallow water interaction with Bottlenose dolphins at Atlantis. I mean, seriously loved every single second of it and so did the kids. I just checked the price and this July it costs about $135/person ages 4 and older (3 and under are free) and the kids and I think it’s worth every penny. This is definitely one to look into and consider saving for–we are still smiling about the memories made that morning! During the 30 minute shallow water interaction you and your family get to tickle, kiss, feed and play with an Atlantic Bottlenose dolphin while a photographer captures photos of it all. Our dolphin’s name was Brewer and was rescued from Hurricane Katrina and completely stole out hearts. It’s amazing how much personality the dolphins (and their trainers!) have and makes for a really fun experience for all ages. In addition to the shallow water experience you can also do a deep water swim (next on our list! ), do a sea lion interaction, sign up for the sting ray experience, be a trainer for the day and more! 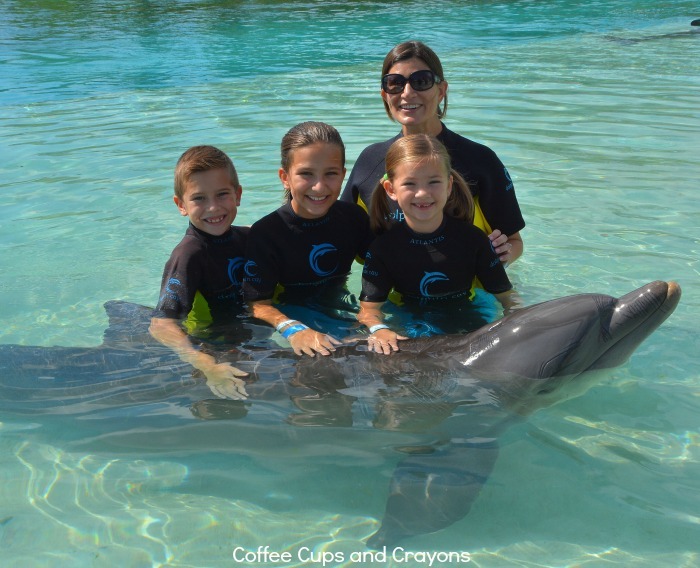 Visit the Dolphin Cay site for all the latest information and pricing. Bonus tip: Buy a waterproof pouch for your cell phone! When you’re heading to the Bahamas with fun water activities everywhere you need something to keep your phone safe and handy. I love the waterproof pouches you can hang around your neck and wear on a water ride or into the ocean. Waterproof phone cases are nice, but the pouches you can find online are perfect for temporary waterproofing. We’ve tried a couple different versions and they’ve all worked well. I used this one on our trip on was thrilled to be able to get pics of the kids in the water without worrying about my phone. The Bahamas with Kids is Fun! A little pre-planning can make a trip to Nassau Paradise Island, Bahamas with your kids memorable and fun. Then once you arrive you can kick back and enjoy some well-deserved relaxation and adventures with your family. For videos, travel deals and all the latest information about Nassau Paradise Island visit the official Nassau Paradise Island promotion board website. I’ll warn you though, once you start looking it’s hard to stop! Disclosure: Thank you to Nassau Paradise Island, Bahamas, Comfort Suite Paradise Island, Atlantis Resort, and Graycliff Chocolatier Factory for hosting us during our recent press trip. We had a wonderful time exploring your island and cannot wait to plan another trip back! As always all thoughts and opinions are mine and my family’s own. Love your blog! You make me want to go to the beach, and we’re headed for Alaska! Sounds like we think alike – check out my blog when you have a spare minute. Ooooooh! That’s on our bucket list! Have fun! Very nice blog i feel more exited about going this june ! I have a 3 year old and I am trying to figure out how to handle the car seat situation since I probably wont’ rent a car and try to drive on the left side. Any suggestions? Where are you planning on staying? Paradise Island? That is a long trip from the airport. You can always bring a booster on the plane and use it but you may not have anything more than a lap belt depending on where you are going. If you stay at Atlantis or Comfort Suites you can walk everywhere once you get to the resorts.